Tattoo’s can be removed, changed, added to and yes, covered up. 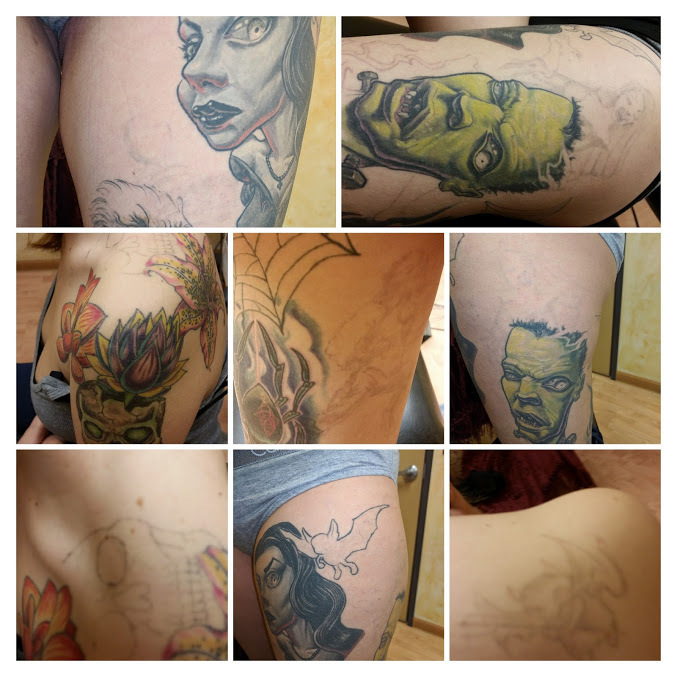 Tattooing in general has come a very long way in the last 20 years. And especially in the last decade. Everywhere you look they are becoming more and more popular with both older and younger people. Tattoo Love is everywhere these days. Tattoos are not just for sailors and lovers anymore. People express their ideas through art and poetry. As well as photos, memories,experiences and… yes, body art. They share stories and tell tales. We can chronologize our lifes travels with trinket tattoos from foreign lands or express our undying love for our pets,lovers, family and friends. It has started to truly become mainstream in bigger cities. Tattoo artists have brought tattooing to a entirely new level over the last decade. Artists has evolved in originality and the skill level of their craft. And they follow absolutely no rules. Some of the artwork out there is mind blowing. I would say the biggest thing that has changed in the tattoo industry is that you can safely remove and or lighten existing tattoo’s. This means a complete or partial do-over of most or all of any one persons ink. So if you have fallen out of love with some of your ink. Tattoo love can come back if your willing to do the work. I guess the best part of the explosion in the tattoo industry. As well as the Tattoo removal industry is that you no longer need to “live with my mistake”. That my friends is a thing of the past. You can not only get amazing cover up work done. You can also pick and choose aspects of full sleeves that need a little updating. We live in a brilliant time for Tattoo love.